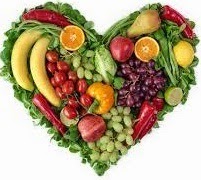 It’s recommended that we eat at least five portions of different types of fruit and veg a day. It’s easier than it sounds. A glass of unsweetened 100% fruit juice (150ml) can count as one portion, and vegetables cooked into dishes also count. Why not chop a banana over your breakfast cereal, or swap your usual mid-morning snack for a piece of fresh fruit? Starchy foods should make up around one third of the foods you eat. Starchy foods include potatoes, cereals, pasta, rice and bread. Choose wholegrain varieties (or eat potatoes with their skins on) when you can: they contain more fibre, and can help you feel full. Most of us should eat more starchy foods: try to include at least one starchy food with each main meal. Some people think starchy foods are fattening, but gram for gram the carbohydrate they contain provides fewer than half the calories of fat. We all need some fat in our diet. But it’s important to pay attention to the amount and type of fat we’re eating. There are two main types of fat: saturated and unsaturated. Too much saturated fat can increase the amount of cholesterol in the blood, which increases your risk of developing heart disease. Saturated fat is found in many foods, such as hard cheese, cakes, biscuits, sausages, cream, butter, lard and pies. Try to cut down on your saturated fat intake, and choose foods that contain unsaturated fats instead, such as vegetable oils, oily fish and avocados. For a healthier choice, use just a small amount of vegetable oil or reduced-fat spread instead of butter, lard or ghee. When you're having meat, choose lean cuts and cut off any visible fat. Most people in the UK eat and drink too much sugar. Sugary foods and drinks, including alcoholic drinks, are often high in energy (measured in kilojoules or calories), and if eaten too often, can contribute to weight gain. They can also cause tooth decay, especially if eaten between meals. Cut down on sugary fizzy drinks, alcoholic drinks, sugary breakfast cereals, cakes, biscuits and pastries, which contain added sugars: this is the kind of sugar we should be cutting down on, rather than sugars that are found in things such as fruit and milk. Food labels can help: use them to check how much sugar foods contain. More than 22.5g of total sugars per 100g means that the food is high in sugar, while 5g of total sugars or less per 100g means that the food is low in sugar. Fish is a good source of protein and contains many vitamins and minerals. Aim to eat at least two portions of fish a week, including at least one portion of oily fish. Oily fish contains omega-3 fats, which may help to prevent heart disease. You can choose from fresh, frozen and canned: but remember that canned and smoked fish can be high in salt. Oily fish include salmon, mackerel, trout, herring, fresh tuna, sardines and pilchards. Non-oily fish include haddock, plaice, coley, cod, tinned tuna, skate and hake. If you regularly eat a lot of fish, try to choose as wide a variety as possible. Even if you don’t add salt to your food, you may still be eating too much. About three-quarters of the salt we eat is already in the food we buy, such as breakfast cereals, soups, breads and sauces. Eating too much salt can raise your blood pressure. People with high blood pressure are more likely to develop heart disease or have a stroke. Use food labels to help you cut down. More than 1.5g of salt per 100g means the food is high in salt. Adults and children over 11 should eat no more than 6g of salt a day. Younger children should have even less. Get active and be a healthy weight. Eating a healthy, balanced diet plays an essential role in maintaining a healthy weight, which is an important part of overall good health. Being overweight or obese can lead to health conditions such as type 2 diabetes, certain cancers, heart disease and stroke. Being underweight could also affect your health. Check whether you’re a healthy weight by using our Healthy weight calculator. Most adults need to lose weight, and need to eat fewer calories to do this. If you're trying to lose weight, aim to eat less and be more active. Eating a healthy, balanced diet will help: aim to cut down on foods that are high in fat and sugar, and eat plenty of fruit and vegetables. Don't forget that alcohol is also high in calories, so cutting down can help you to control your weight. Physical activity can help you to maintain weight loss or be a healthy weight. Being active doesn’t have to mean hours at the gym: you can find ways to fit more activity into your daily life. For example, try getting off the bus one stop early on the way home from work, and walking. Being physically active may help reduce the risk of heart disease, stroke and type 2 diabetes. For more ideas, see Get active your way. After getting active, remember not to reward yourself with a treat that is high in energy. If you feel hungry after activity, choose foods or drinks that are lower in calories, but still filling. If you’re underweight, see our page on underweight adults. If you're worried about your weight, ask your GP or a dietitian for advice.